Sunday is depressing, am I right? It means that tomorrow is Monday and, well, everyone hates Mondays. Sigh. 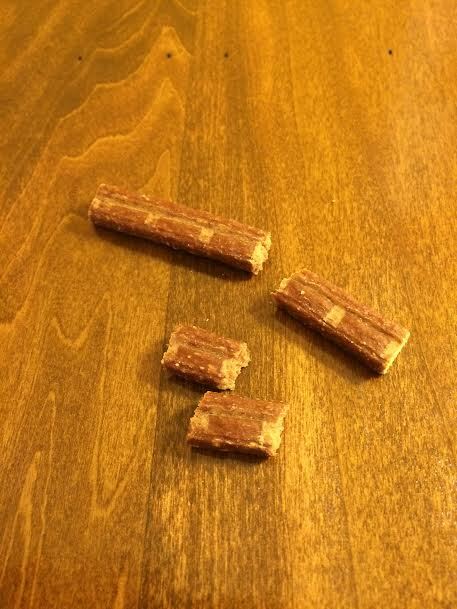 How about a new treat review to start the week off right? 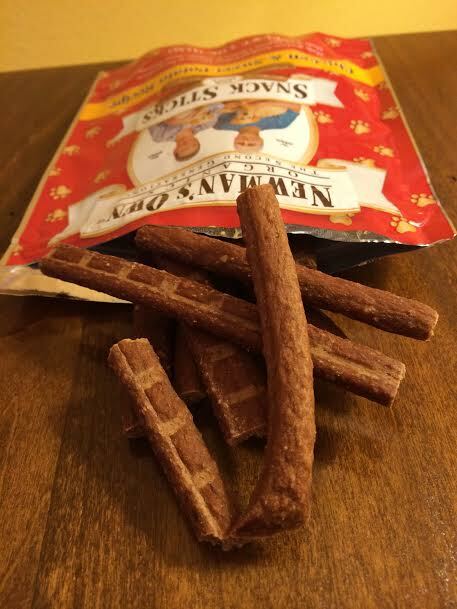 Our treat of the month from Chewy.com is Newman’s Own Snack Sticks. This soft and chewy treat is certified organic by Oregon Tilth and made in the US. Gotta love that. Newman’s Own Snack Sticks have a relatively short ingredient list. These treats are packed with organic goodies like chicken, sweet potato, oats, and barley. 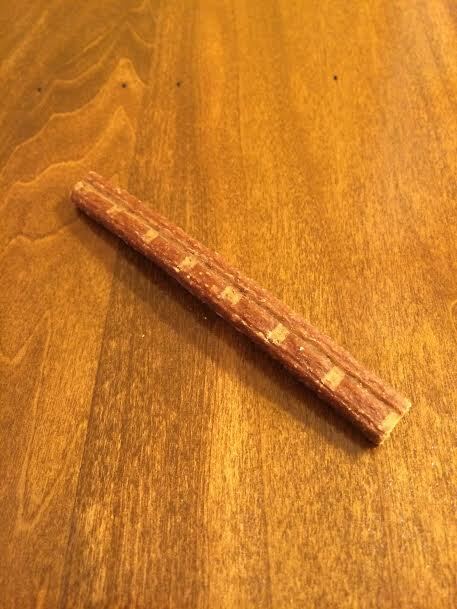 Each “stick” is about 4.5 inches long and perforated for easy tearing. Sometimes Teton gets a whole stick but I usually break them up into smaller pieces before giving them to him. I love treats that you can easily break up into smaller pieces. It makes them perfect for all sizes, whether you have a Great Dane or a Yorkie. 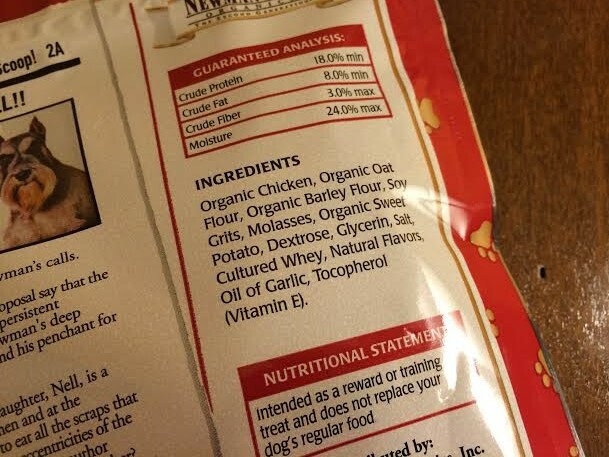 Newman’s Own Organics has a pretty extensive line of dog products ranging from dry food to wet food to treats. Check out their entire assortment on Chewy.com by clicking here. All of their products are made in the US and certified by Oregon Tilth. Thanks to Chewy.com for the treat of the month! Did you enter the NuVet Labs giveaway? Sarah – The dog park is Coopers heaven. He would be perfectly fine with me leaving him there all day. He loves the smells, dogs, fresh air, and people. My hope for Cooper is to make the short live he gets here in earth as comfortable as possible!! Congratulations, Sarah! E-mail me at herdogblog@gmail.com and I’ll get your NuVet Labs goodies to you right away! Posted on March 30, 2014 by Shannon	This entry was posted in Treat Jar. Bookmark the permalink.